and 172 town-homes, while 36% of the land is allocated to common areas. There are over 50 floor plans with a variety of styles and sizes, ranging from 1035 square feet to over 2750 square feet. Prices range from the mid 200 thousands to $500,000. 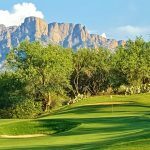 Many lots have views of the Catalina Mountains, the desert, or the golf course. Over 60% of residents live here year-round. All homes in Sun City were built from 1986 to 1996. 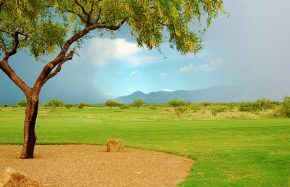 Ownership of the community common areas, golf course, and recreational facilities were turned over to the Community Association by Del Webb. 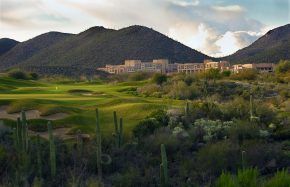 Sun City Oro Valley is not a gated community and the roads are maintained by the Town of Oro Valley. 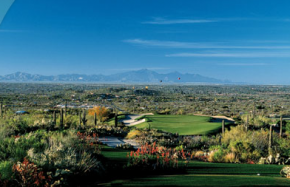 The Views Golf Club is aptly named with awesome desert and Catalina Mountain views. 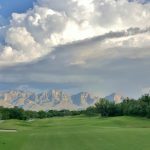 It is a community-owned, semi-private championship course designed by Greg Nash that is open to the public on a restricted basis. 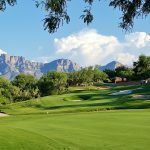 The par 72 course has eight sets of tee boxes to choose from that range from 5092 to 6715 yards to challenge every skill level from beginner to expert. They offer several daily, monthly, seasonal, and annual passes. 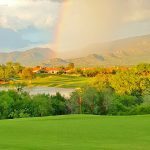 There are both men’s and women’s 9- and 18-hole leagues and other events that allow couples and mixed-member groups to enjoy tournaments, mixers, and special programs throughout the year. The Views has a full-swing driving range, short-game practice area with a sand bunker and a full-service pro shop. There are rental carts or a trail fee for self-owned carts. There are also group or private lessons from PGA Golf Pros. 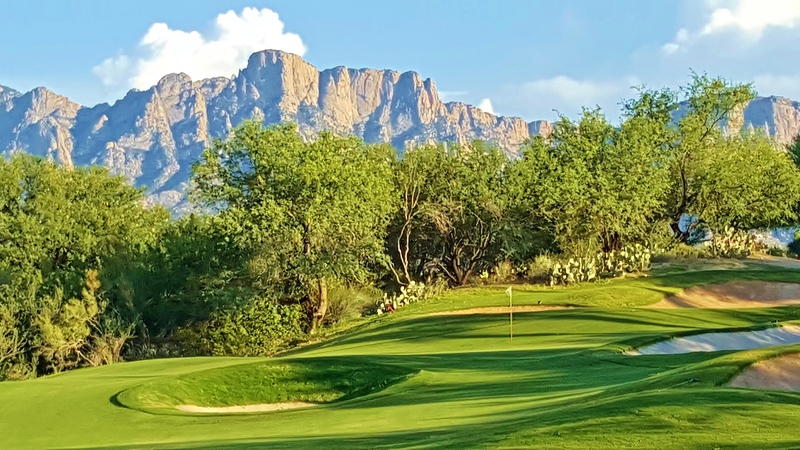 The Views was “recently awarded The Best of the Northwest by the NW Explorer newspaper and GEM award from the Southern Arizona Women’s PGA.” It is an award-winning golf course with subtly elevated greens, challenging bunkers and a small lake for spectacular desert golf. 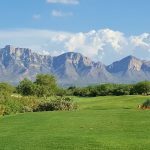 There are a variety of holes with gentle slopes that meander through various arroyos and dry washes and elevation changes that give different perspectives of the spectacular mountain views. 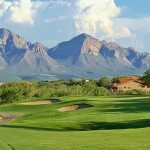 Sun City Oro Valley has great weather, breathtaking mountain views, a championship golf course, and State-of-the-art aquatic and fitness center. The 12,000-square-foot Fitness Center features 43 cardio and weight machines as well as free weights. It also includes two studio rooms where there are classes in yoga, Zumba, karate, and more. The aquatic Center includes one large, and one smaller heated pool and a large spa, with handicapped access. There are eight post-tensioned hard surface tennis courts, five pickleball courts, four new Bocce Ball Courts, a 9-hole mini-golf course, and a picnic area with eight covered ramadas offering picnic tables, individual grills and lighting. There are exercise rooms, a racquetball court, three separate recreation centers that include a multipurpose auditorium, card rooms, dance studio, billiard room, arts and crafts, sewing and woodworking shops. There is also the Sun City Oro Valley Library, an artisan center gift shop and nearby hiking in Catalina State Park. In addition to all that, there is the on-site Views Restaurant, open from 7 AM – 7 PM, serving breakfast, lunch & dinner with daily specials, happy hours and live entertainment on Fridays and Saturdays and karaoke Sundays. There are over 140 clubs, including topics such as arts & crafts, social and cultural interests, dance, exercise, games, sports and travel. The Welcome Center is 11,000 sq. ft. and includes a computer classroom, the extensive library, Sun City Community Association offices, and genealogy and conference rooms. A horseshoe pit and croquet court are also provided.